No office, boardroom, bathroom, lobby or retail space is complete without speakers. At PMWYRE we will work with you to design and install discreet sound solutions for all the rooms in your office or retail space. 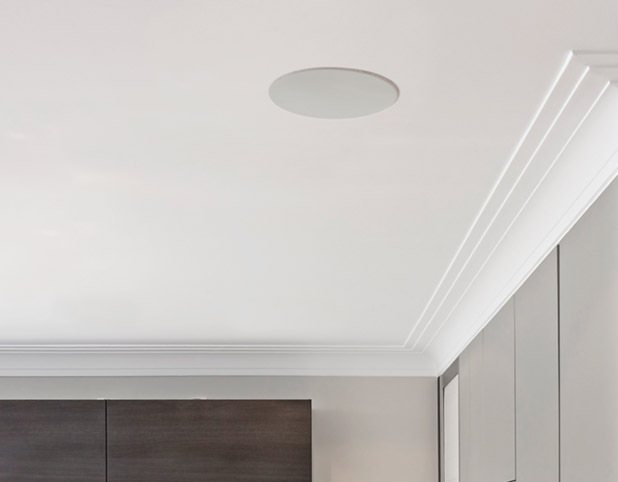 All of the in-wall and in-ceiling speakers that we carry feature an ultra-low profile, micro perforated grill with no visible bezel, which are paintable for a nearly invisible integration. We also offer completely custom solutions for acoustic paneling. Panels that you can have custom printed to carry your logo or your company’s vision statement. At PMWYRE we will work with your Interior Designer to create a completely custom look with all the functionality of a traditional panel.